Among the most popular strategies for generating ISK in EVE Online is AFK ratting. This involves using a drone ship, like an Ishtar or Vexor Navy Issue, to clear anomalies in null security space. Using the “aggressive” setting, drones will clear a site with no input, automatically targeting enemies that damage the player. While this method is not risk-free, as you are AFK while undocked in lawless space, it is quite worthwhile. A fully fit AFK VNI current costs 90-100 million ISK, and generates roughly 60 million ISK/hour. This means that should you lose your ship, you lose only about 1.5 hours of passive income. If you don’t have enough ISK, exploration is the best way to build up your wallet before you begin ratting. Additionally, the 100MN Afterburner fit gives you wiggle room when it comes to hunters, as you will outpace most ships at a clip of 1,100m/s. Only attempt AFK ratting in null security space (including NPC space) that your alliance controls. The systems should be safe (i.e. home defense fleets), and in general, the larger the area of space under alliance control, the safer this method will be. In addition, a strong intel channel can mean the difference between a blinking wallet and a wrecked ship. Each system in null security space has a different “true” security status. The closer this true status is to -1.0, the larger the quantity of anomalies that will spawn within the system. This means the system can support more simultaneous ratters without downtime, as there will be more anomalies to choose from. Look for a system with a low true security status and a small number of gates in order to minimize hunter traffic. Training the correct skills is essential to maximizing your income from AFK ratting. Heavy Drone Operation – this skill will provide a 5% increase in drone damage per level. Additionally, at level V, you can train into Tech 2 drones, which will further boost your damage output. This is one of the most important skills you should train for AFK ratting. Racial Drone Specialization – this skill will allow you to use Tech 2 drones when ratting. This provides a major DPS increase. In addition, each level will grand a 2% increase in drone damage for your faction drones. Train this a few levels early, but do not prioritize level V until your other skills are up to par. Drone Interfacing – this skill will provide a 10% increase in drone damage per level. This is extremely helpful when AFK ratting, and this skill should be trained to level V.
Drone Navigation – this skill will provide a 5% increase in drone microwarpdrive speed per level. This will allow your drones to more quickly begin attacking a new target. It might not seem like much, but this will result in a major increase in your income. Additionally, level V will allow you to use Drone Navigation Computer II, further boosting the speed of your drones. Drone Avionics – this skill will provide a 5000m increase in drone control range per level. This will be very useful for you as your drones can get quite far from your ship. Advanced Drone Avionics – this skill will provide a 3000m increase in drone control range per level. Training this skill will allow you to forgo installing a Drone Link Augmentor II on your ship, which will shave a few million ISK off the cost. Drone Sharpshooting – this skill will provide a 5% increase in drone optimal range per level. This is not critical for mobile drones, which you will be using. However, it may be prudent to train a few levels for a minor DPS increase. Hull Upgrades – this skill will provide a 5% increase in armor hitpoints per level. This increase will provide you with a larger buffer for damage spikes when ratting. In addition, training to level V will allow the use of Tech 2 armor hardeners, which will greatly benefit your tank. Mechanics – this skill will provide a 5% increase in structure hitpoints per level. Hopefully, you will never need to use this bonus. However, training to level IV will allow you to use Medium Armor Repairer II. This will make your tank much stronger. Repair Systems – this skill will provide a 5% decrease in armor repair module cycle time per level. This effectively results in 5% greater armor regeneration. Training this skill will make your tank much stronger. In addition, training to level IV is another prerequisite to using Medium Armor Repairer II. Weapon Upgrades – this skill will provide a 5% decrease in CPU usage of turrets, smartbombs, and launchers per level. While this bonus is useless when AFK ratting, this is a handy skill to have for almost any other situation. In addition, training to level IV is a requirement for using Drone Damage Amplifier II. This will provide a significant increase to your DPS. Afterburner – this skill will provide a 10% decrease in afterburner capacitor usage per level. This skill will be useful in order to maintain a capacitor stable fit. Fuel Conservation – this skill will also provide a 10% decrease in afterburner capacitor usage per level. This should be trained if your fit is not yet capacitor stable. Acceleration Control – this skill will provide a 5% increase in afterburner speed boost per level. Increasing your speed will decrease your incoming damage, helping your tank hold out against rats. Navigation – this skill will provide a 5% increase in base velocity per level. Again, higher speed means less incoming damage, increasing your ability to tank an anomaly. Capacitor Management – this skill will provide a 5% increase to capacitor capacity per level. Train this skill in order to ensure that your ship is capacitor stable. Capacitor Systems Operation – this skill will provide a 5% decrease in capacitor recharge time per level. Train this skill in order to ensure that your ship is capacitor stable. I recommend using a Vexor Navy issue for AFK ratting. It is cheap and easily replaceable, and offers nearly the same effective damage output as an Ishtar. This example fit is tanked for Guristas/Serpentis rats (kinetic damage), and features Wasp drones that deal kinetic damage. Be sure to use the appropriate damage and tank for the rats you will be engaging. Also ensure that your ship is capacitor stable, meaning that it can run with all modules activated without the capacitor running dry. You won’t be ratting AFK if you have to manage your tank while ratting. This fit costs about 105 million ISK at present, making it both cheap and effective. Caldari Navy Wasps are used because they offer better tracking, and thus a faster site completion rate, than their Tech 2 counterparts. Before beginning to rat, ensure that both local chat and your space’s intel channel are visible on your screen. Keep an eye on the player list in the local chat window for hostiles in your system. Also keep an eye on the intel channel, and make sure to dock up if intel reports a hostile within 2 or 3 jumps. First, open your probe scanner, and search for Haven anomalies. Not all Haven anomalies are equal. Some, known as “Gas Havens,” feature a gas cloud and hostile turrets. Others, known as “Rock Havens“, feature a hostile star gate amidst floating rocks. Rock Havens are preferable as they offer slightly more ISK/hour and are more manageable for an AFK ratter. To determine the type of a Haven, initiate warp to the anomaly and immediately cancel the warp. If a popup appears on your screen, the Haven is a Rock Haven. Next, warp to the anomaly at a distance of 30 kilometers. Select the star gate in the center of the rock formation, and begin orbit at 30 kilometers. Deploy your drones, activate your afterburner, and activate your resistance and repair modules. Be sure to watch out for faction Dreadnought spawns in Havens and Sanctums. If you see a Dreadnought, warp out — it can completely neutralize your capacitor from 60km away, and you cannot break its tank with your ship. Ensure that your drones are set to the “aggressive” setting and that the “focus fire” setting is checked. This is done through the drone menu, accessed by clicking the three lines in the upper left corner of the drone window. Forsaken hubs can also be a good venue for AFK ratting, but take care, as the rats will deal more of their secondary damage type there. This could be deadly if your shield skills are not up to par. Your drones will finish the site with no further input from you. If you deployed your drones before the hostile ships targeted you, then they will ignore your drones. If the hostiles do not ignore your drones, warp to a safe spot, eject from your ship, and board the ship again. This will force a session change and reset your threat scores with the NPC ships. You can use this method to make ISK while watching Netflix, doing work, or any other activity. Remember to check in once every 30-40 minutes to switch anomalies. This method also scales well with multiple accounts. Running several accounts across multiple systems will increase your ISK/hour, but require more activity to switch sites. This method is, without a doubt, one of the most powerful ISK making methods for anyone who spends time on their computer outside of playing EVE. If you have any questions, or ideas for future guides, comment below! Now that you have an easy, steady income, station trading is the next step in growing your fortune. What about cap neuting rats in havens? Generally, you will be too far away for those rats to affect you. I have spent many hours carrier ratting in havens and have never had issues with cap neuting rats. I applaud your hard work and thanks for sharing, but spare me please. Don’t call 100 million ISK “cheap.” Even if it’s easy for you to farm ISK, 100 million is still a shitload of ISK. Thanks for sharing. But please. Seriously. I don’t mean to say that farming your way from nothing to 100 million ISK is trivial (although certain activities, like exploration, make it easier than you think!). I just mean that once you buy the ship, replacing it should you lose it to hostiles roaming your space is easy, because the ship will pay for itself if you can stay alive for less than 2 hours after buying it. You are supposed to be ratting in controlled Null. If you are short by lets say 50 kk, your corp is going to help you out. Or a thousand other ways to get the needed $$$. Ratting with a Rattlesnake for the last days after a long break, BUT this way of afk ratting seems broken. 100m ISK is NOT a shitload if you are ratting. Even if you’re not carrier ratting, 100M isk is FAST and EASY Isk. Don’t forget Salvage. If a pilot doesn’t have 100m for a VNI, they’re probably fairly new to the game. Ratting in nullsec is pretty hard on a shoestring budget – this VNI fit is one of the cheapest possible ratting fits. 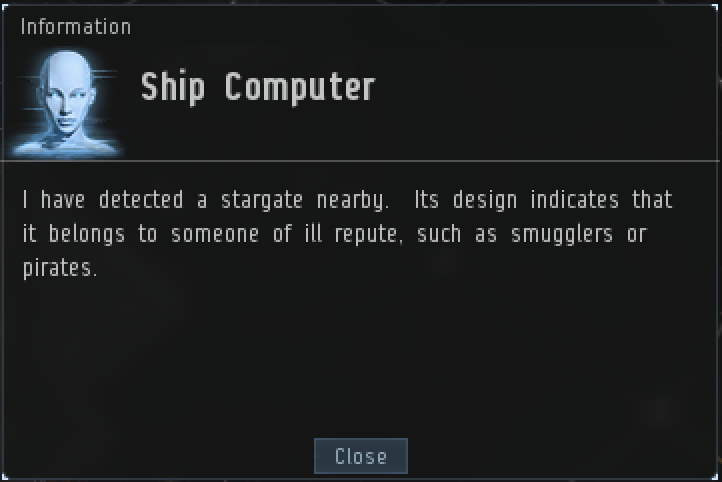 For a new player with only a few million ISK, putting together a ship that can take on rats in nullsec is very difficult, especially with skills that are not likely extensively trained. This is, however, a trivial amount of money once you have it. It’s easy to turn 100m into 1b, far easier than it is to turn 10m into 100m. That’s why I recommended exploration, which has huge returns, as the best way to make ISK as a new player. am I the only one that noticed you didn’t put any reps or resistance mods in the fit? Keep in mind that this fit is speed tanked – the goal is to be moving fast enough at all times that rats won’t be able to hit you hard enough to matter. I did add a single armor hardener, however, for a bit of extra tank.